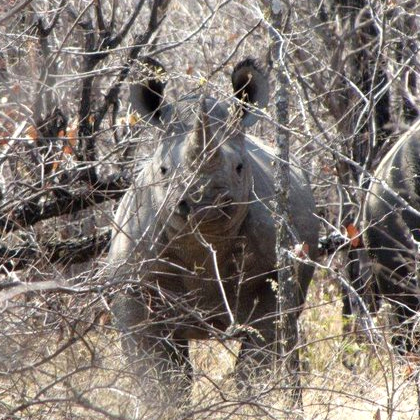 Walking safaris are the ultimate African bush experience. 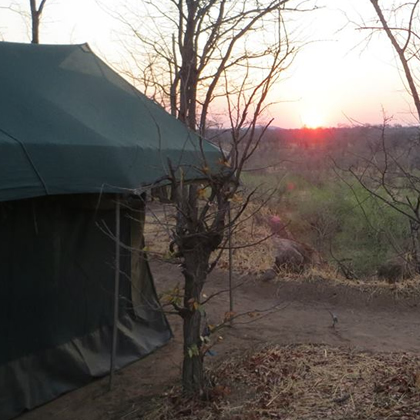 We offer camp based walking safaris in the Sinamatella area of Hwange National Park, from where you will set off each day to different walking locations. 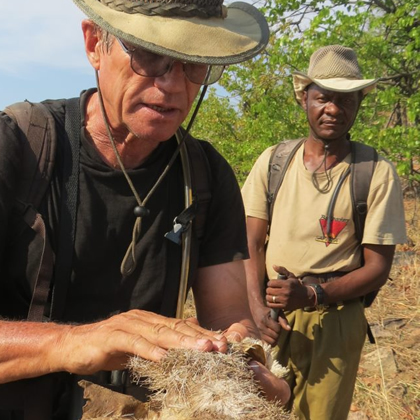 Walking safaris are lead by experienced Zimbabwean wildlife guide Leon Varley, and fully assisted by his trackers and support team. 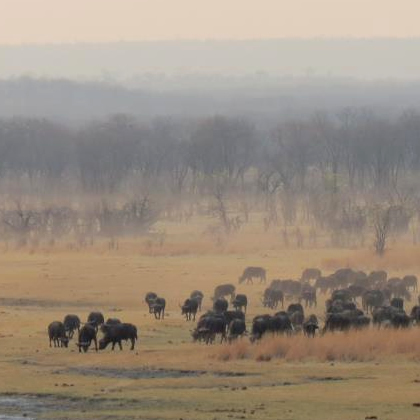 Camp Safaris offer one of the most exciting ways to explore the wildlife and wilderness of Hwange National Park, famed for its populations of elephant, lion and other big game. We use specially selected and exclusive seasonal bush camps, where you return to sleep each night under African skies in our customised walk-in tents, complete with comfortable mattress beds and 'en suite' shower and toilet. Camp is the start and end point for morning and afternoon explorations, allowing you to refresh and relax over the main heat of the day. Breakfast, lunch and evening dinner will be served under shaded canvas, surrounded by the sights and sounds of the African bush. Your safety whilst on your walking safari is our highest priority. At all times in the bush you are accompanied by Leon and his experienced tracking and support team. Leon carries with him, in addition to his wealth of experience and knowledge, a firearm for protection from big game - a last-resort option, is fully trained in first aid procedures and backed up by satellite phone contact and support vehicles in the case of emergencies.